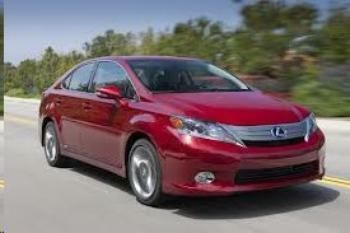 Toyota Motor Engineering & Manufacturing is recalling 18,130 model year 2010 Lexus HS 250h Hybrids. A component within the hybrid transaxle assembly may short circuit and result in a reduction or a complete loss of available power for moving the vehicle. Lexus will notify owners, and dealers will replace the hybrid vehicle transaxle assembly, free of charge. The recall is expected to begin November 20, 2017. Owners may contact 1-800-255-3987. Toyota's number for this recall is HLE.